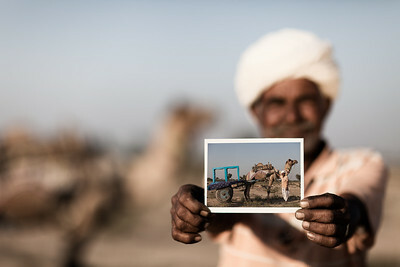 Rajasthani man holding a card. 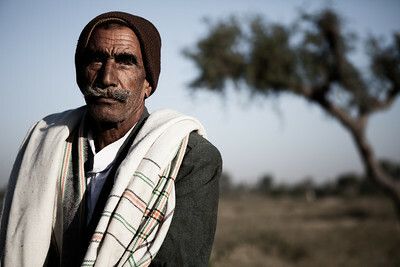 Rajasthani Farmer at his homestead. 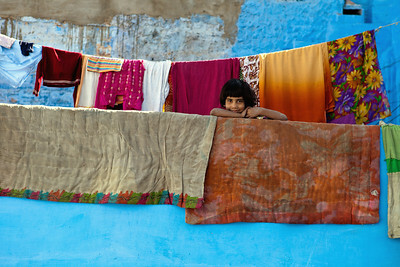 The Perfect Blue Wall with Laundry. 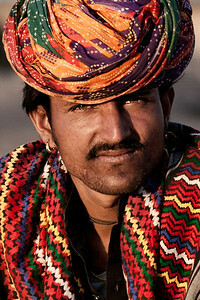 Jodhpur, India. 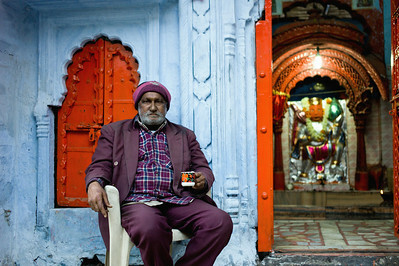 Man having a Chai at a Hindu Temple. 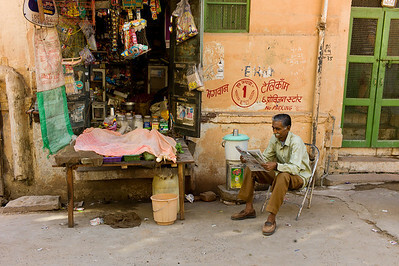 Jodhpur, India. Woman and Child. 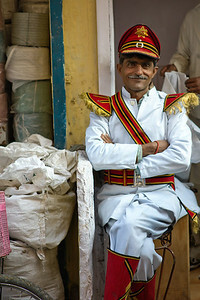 Jodhpur, India. Leader of the Band. 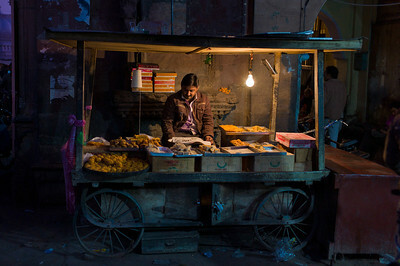 Jodhpur, India. The Blue City. 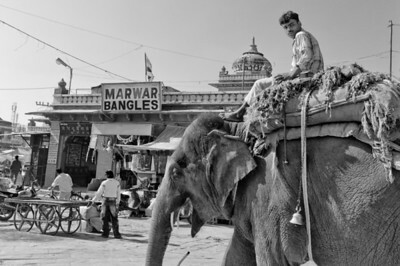 Jodhpur, India. 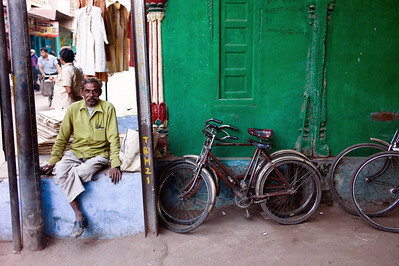 Green Wall in Jodhpur, India. 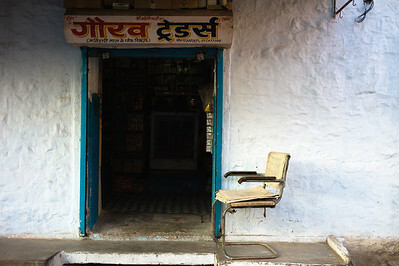 Simple Door and Chair. 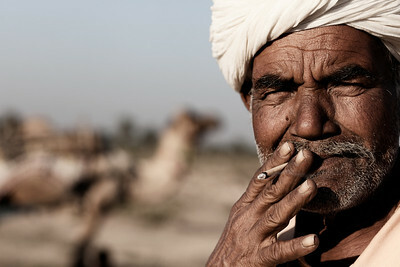 Jodhpur, India. Girls in front of a Blue Wall. 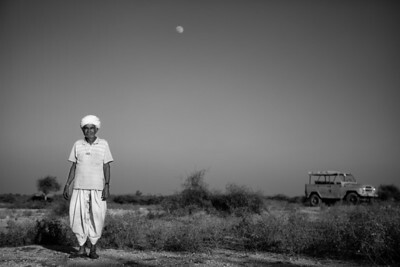 Jodhpur, India. 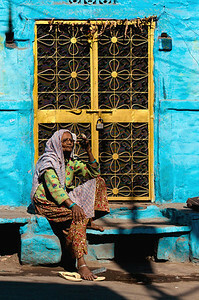 Old woman in Jodhpur, India. 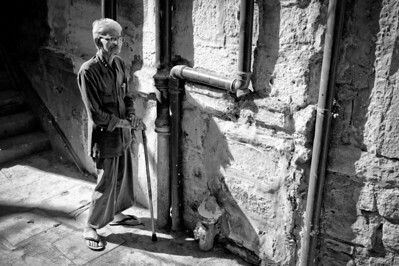 Old Man in Jodhpur, India. 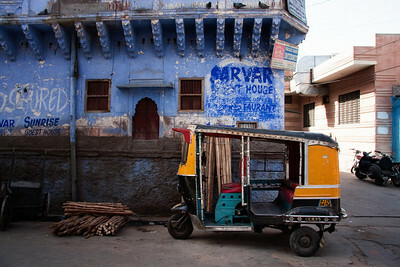 Auto-rickshaw in the Blue City. 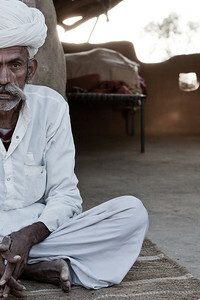 Jodhpur, India. 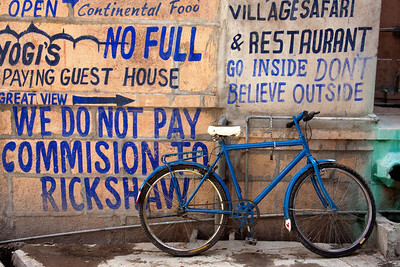 Blue Bike in the Blue City. 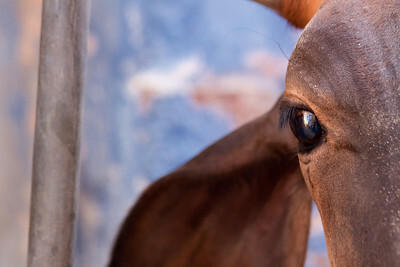 Jodhpur, India. 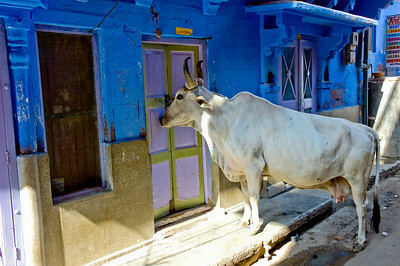 Holy Cow in the Blue CIty. 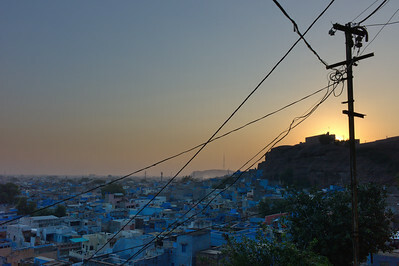 Jodhpur, India.